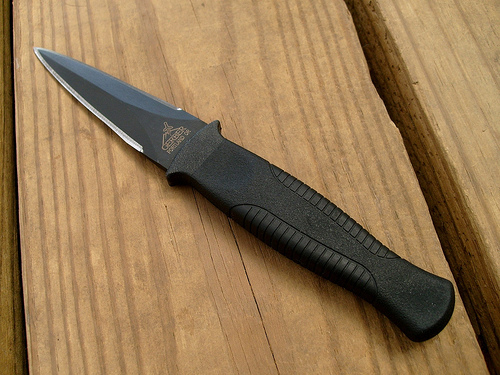 A boot knife is great for survival and defense. Whether worn for protection or survival in the wilderness, boot knives or shoe knives prove themselves very useful in times of need. If you are thinking of carrying a knife in your boot, here is a simple tutorial on how to wear a boot knife. It is a blade that is made specifically to fit most calf-high boots. 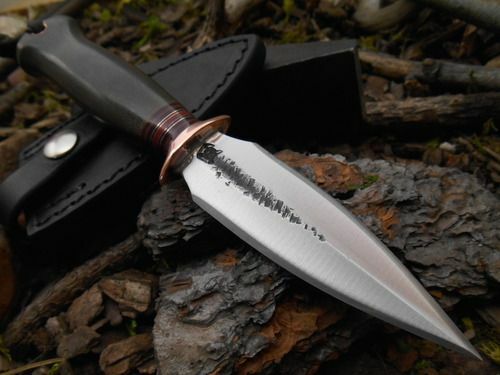 It is essentially a small fixed blade knife dagger with a sheath to protect the wearer from accidental cuts. Often this type of knife has a double edge. Generally, These knives serve the purpose of protection so that you can have a concealed and easy-to-reach weapon to defend yourself with in times of need. Moreover, boot knives can be used as an additional weapon or tool to bring during camping or hunting. Since they are easy to carry around, these knives can be useful when cutting rope or splitting bark without having to rummage in your hunting backpack. If you are reading this article, then you probably have interest in carrying a boot knife yourself. Don’t worry, wearing a knife on your bootis very easy. But to be sure that you do it right, here’s how to wear one. Some hunting boots are equipped with a special straps or built-in compartments for boot knives. If you already have a pair of boots that do have this special compartment, then you are ready to go. You can try purchasing a new pair of hunting boots with this function. If you do not have boots that have built-in straps for your knives, you can still use regular boots. However, the ease of use of boot knives will depend on your boots. Generally, boot knives fit well in boots that come up to the low to mid-calf. These types of boots are said to be more comfortable to use with boot knives. Choose the boot knife that most appeals to you. Knives come in all shapes and sizes. However, not all knives can be used as boot knives. Most boot knives are generally made to fit into a shoe and provide easy access. They also often come with a sheath to keep your feet safe. So, if you don’t already have one, you can try finding the best boot knife available on the market. The best knives are easy to conceal, generally easy to carry, and provide you with good protection against hostile people or animals. When you carry a boot knife with you whether you are only out in public our going hunting in the woods, they can provide you with more peace of mind and definitely more security than going without it. If you don’t have boots that have built-in straps or compartments for boot knives, you can still easily wear a boot knife. How to wear a boot knife with regular boots just requires a string added to the equation. Generally, a shoelace or thin rope will do. Simply insert your boot knife into the ring of your boots and use the string to secure the handle against your calf. This will prevent it from falling out of your shoe or getting moved around a lot. On the other hand, if you are feeling a bit more creative, you can try sewing in a sheath for yourself into the boots. To do this, simply take a sheath and sew it into the interior of your boots, obviously where you want your boot knife to be. Before you go on and wear a boot knife out in public, read up on your locality’s laws about wearing concealed weapons like boot knives. In times when you need to use your boot knife, you can easily access and use it if you place it on your dominant side. For example, if you are right-handed, place your boot knife in your right boot, facing outwards. This will make it much easier for you to access your boot knife. The sheath in your boot or the sheath that comes with the boot knife functions to keep your calf safe from any accidental cuts or stabs. Make sure that you always keep the sheath secure. That way you won’t end up with an unnecessary trip to the emergency room. The best tactical pens are considered the best for a reason; and that is because they perform their function well based on pre-set standards. Just like with boot knives and the boots you will be wearing, you need to pick out quality products that would meet your needs. Otherwise, the boots or boot knife may be worn down quicker than you want them to. Boot knives are versatile weapons. Since they are small, they can fit into your glove box, purse, waist, backpack, and basically almost anywhere. Boot knives are great for serving as self-defense weapons as well as tools in hunting/camping or in emergency situations. Needless to say, they can help you perform tasks easier and defend yourself better due to their ease of access and concealed nature. We hope this article on how to wear a boot knife enlightened you on the necessary steps you need to take before buying your own boot knife. Got any friends interested in concealed weapons? Share this article with them and let us know what you think in the comments below. Thanks for reading!